June 5, 2017, © Leeham Co.: Bombardier’s activities in China, where the fuselage for the CSeries is co-produced, have been at a standstill. LNC sat down with Fred Cromer, president of Bombardier Commercial Airplanes, at the annual general meeting of IATA to discuss these and other issues. An update on the COMAC-CSeries relationship. An update on the slow-selling Q400 and CRJ programs. An update on the oft-discussed CS500. Part 1, ATR, appeared last week. Today’s interview with Bombardier completes the two-part series. April 4, 2017, © Leeham Co.: Bombardier doesn’t think a new, clean-sheet turboprop aircraft is needed any time soon, a position that stands in contrast with rival ATR. Ross Mitchell, VP Commercial for BBD, believes the Q400 covers the turboprop segment from 70 to 90 seats and its operational flexibility covers everything airlines need today. However, ATR has 85% of the backlog with BBD capturing the other 15%. Still, Mitchell gives a strong defense of the Q400. Don’t believe everything ATR claims about operating cost advantages, BBD says. BBD can move cockpit and wing production from Canada to lower costs—but where is the question. Re-engining the Q400 isn’t in the cards, at least any time soon. Part 1; Bombardier will appear next week. March 30, 2017, © Leeham Co.: Economics simply don’t support development of a new turboprop any time soon, an analysis shows. Low utilization by turboprop operators, the cost of development and the price to customers drive decision-making more than fuel prices. LNC interviewed ATR and Bombardier officials for their views on development of a new turboprop. We also interviewed a key executive who knows the sector intimately. Their views diverge. It will cost upwards of $5bn to develop a new turboprop. The 20-year demand is limited, 2,000-2,500 depending on the forecaster. The top-end price point is at best in the low-to-mid-$20m. Any more than this, and the price encroaches on small jets. At least 90 seats are needed. Fuel burn reduction of at least 30% is needed—a difficult target. Feb. 27, 2017, © Leeham Co.: ATR today holds an almost monopolistic position in the large turbo-prop market with 87% of the backlog at YE2016. Bombardier, once the dominant turbo-prop manufacturer, has a mere 13%. China and Russia are not included above. ATR had a backlog of 212 aircraft vs Bombardier’s 31. In addition, ATR had options for more than 400 aircraft and LOIs for about 70 more. BBD had options for just 12 Q400s at the end of last year. Low fuel prices favor regional jet, high fuel prices turbo-props. No new, clean-sheet design to replace Q400 or ATR in foreseeable future. Indian, Indonesia talk turbo-props but outcome unlikely. China’s MA-60 feeds home market, but airplane has reliability issues. Jan. 30, 2017, © Leeham Co.: Bombardier hopes to land a major, blue-chip order for its CSeries this year but otherwise isn’t counting on significant orders for its flagship airliner. Officials don’t have available delivery slots until 2020, bar a few here and there, to attract sizeable orders. The future of the aging CRJ could get a boost from recalcitrant Us labor unions who refuse to alter the 86,000 lb aircraft weight limit under the Scope Clauses. These make the Embraer E175-E2 and Mitsubishi MRJ90 too heavy for the regional airlines providing contract flying for the US majors. The future of the Q400 turboprop looks bleak. The CSeries delivery stream appears sufficient to match production ramp up through 2019. There is a big production gap in 2020 at the target rate of 10/mo. More than 50 firm orders have indefinite deferred delivery dates. The backlog for the CRJ “falls off the cliff” next year, as does the Q400. Jan. 3, 2017, © Leeham Co.: The New Year is here and it doesn’t look like a good one for commercial aerospace, if measured against previous outstanding years. There are some troubling signs ahead, piling on to a slowdown in orders from last year that didn’t even reach a 1:1 book:bill. This year looks to be worse than last. Airbus and Boeing will give their 2017 guidance on the earnings calls this month and next. Bombardier and Embraer earnings calls are a ways off, when each will provide its guidance. But LNC believes the Big Two in particular will be hard pressed to hit a 1:1 book:bill this year and may even struggle to match 2016 sales. Boeing’s year-end order tally comes Thursday. Airbus’ comes on Jan. 11. Narrow-body backlogs and low oil prices continue to inhibit sales. China, Middle East concerns emerging. United Aircraft MC-21 and COMAC C919 begin flight testing. Airbus A330neo, Boeing 787-10, Embraer E195-E2 and Mitsubishi Aircraft MRJ-70 roll-out and begin flight testing. Airbus A321neo and Boeing 737 MAX 8 EIS. Oct. 31, 2016, © Leeham Co.: Hawaiian Airlines continues to ponder the possibility of acquiring one or two Airbus A380s, its CEO said on the third quarter earnings call—something that raises eyebrows and a lot of questions with industry officials. 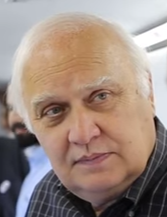 Mark Dunkerley, responding to a question on the call, said there are two or three routes that could support the giant A380. September 26, 2016, ©. Leeham Co: We are reporting from ISTAT (International Society of Transport Aircraft Trading) 2016 in Barcelona. The regional aircraft panel, discussing the future for the regional aircraft market, featured Embraer, Bombardier, Mitsubishi Aircraft Corporation and Superjet International, presenting the strengths of their offerings and why they would have a good future share of the market. May 17, 2016, © Leeham Co.: ATR, the dominant manufacturer of turboprop airliners, last week undertook its first major marketing push in the USA in 10 years. But the time has come for ATR to return to the US for a number of reasons. The Bombardier Q400 is aging in US service, and replacements will be needed soon. The ATR 72-600 has been modernized with a new glass cockpit, larger overhead bins and other features. The aircraft now has an optional forward boarding door, a desirable feature in the US, allowing jetbridge boarding. Horizon Air, a subsidiary of Alaska Air Group, operates 52 Q400s, including 14 Next Gen models, according to the Ascend data base. These are all of them in the US. Horizon is returning 15 of the Q400s come off lease, replacing them with Embraer E175s. 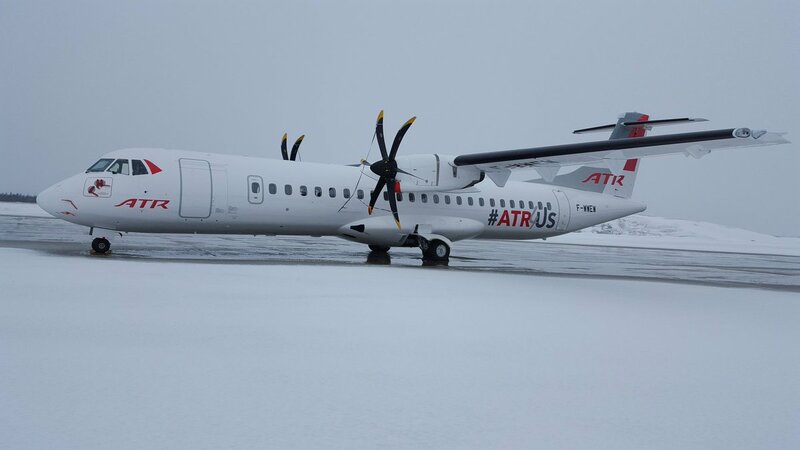 ATR is making a push to sell its turbo-props in the US, which is the last exclusive domain of the Bombardier Q400. Note the new forward door on this ATR-72. The absence of this door, which the Q400 has, was a strike against the ATR in the US. The door now enables jetway boarding. Photo via Twitter. May 3, 2016, © Leeham Co.: ATR, the maker of the ATR turbo-prop, is beginning a tour of its aircraft in the US, the last uncontested domain for the rival Bombardier Q400. ATR-42 operated for FedEx. No passenger ATRs are operated in the USA. Photo via Google images. passenger ATRs are in service in the USA. As the tour gets underway, Finmeccania, a 50% owner of ATR with Airbus owning the other half, wants to assume the latter’s holdings if Airbus doesn’t change its mind over its refusal to green light development of a next generation turbo-prop. Airbus has for several years refused to grant approval because ATR had between 80% and 90% of the backlog at any given time. Bombardier had the remaining market share backlog. Now that oil prices are low, Airbus doesn’t believe a business case can me made to justify a new development.